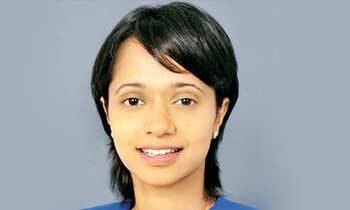 Additional Solicitor General Yasantha Kodagoda today informed the PCoI that Anika Wijesuriya, who previously testified before the Commission with regard to leasing out of a Penthouse by Arjun Aloysius in which former Finance Minister Ravi Karunanayake’s family resided, had fled the country due to numerous threats levelled against her. ASG Kodagoda said that he earlier, informed the Commission that the Attorney General’s team had predicted the threat to her life and named her as a witness under the Witness Protection Act. Additional Solicitor General Yasantha Kodagoda revealed this while he was informing the Commission about a complaint received by them from the elder brother of Anika Wijesooriya as he was threatened by one Shanil Neththikumara recently. "He owns casinos and Ravi Karunanayake is his uncle. He had threatened Wijith Wijesuriya the brother of Anika. Anika has now fled the country and an investigation into this must be carried out as it is an offence under the Penal Code and the Witness Protection Act" he said. The human freedom, democracy, freedom of speech etc., etc., are overflowing in style under the yahapalanaya! How she got this money to trade this apartment. Is it her father smuggling drugs while working in ships. Within two short years you appear to have lost your memory !!! I am searching where is so called Yahapalanay (good governance)!!! May be someone left it on your chair. A popular place these days. I CAN'T BELIEVE THIS BECAUSE THESE DAYS RAVI IS ALWAYS IN TEMPLES AND RELIGIOUS PLACES. Those are hijacked by Nigantas,Thugs,Thieves plus most dangerous Masons. THERE ARE TWO TYPES OF THUGS IN SRILANKA. CHINTHAKA THUGS AND YAHAPAALAKA THUGS. Is YAHAPALANAYA too taking the country back to the RAJAPALANAYA era ? All looters must be apprehended (not only this government and former government as well). The people who testify must be protected. Or else the hoodwinks will win. It is high time people never vote for these corrupt politicians again irrespective of which party they belong to. Party leaders should ensure these corrupt politicians are never given nominations. It is so disgusted to see Yahapalanaya is still tolerating RK. UNP needs to understand this is their last chance to be in power if in case they do not eliminate these corrupt people from the party. All Lankan knows that RK is a masterminded thug and number one mugger in the bond scam and that´s why he was rewarded as the best finance minister of Asia 2016. Thanks to yahapalanaya, so this kinds of moron can freely continue looting taxpayer money. This is the difference between the Yahapalanaya and Appachi's govt. In every govt, there will be corrupt politicians without doubt. The difference is, in the previous govt, journalists would be white vanned should they even report news like this. Media wouldn't be allowed to even speak of such things. A famous news website was banned due to reporting news against the former govt. People should stop and think whether they had freedom of speech in the previous govt. I'm not saying that this Yahapalanaya is perfect, but atleast it's a step in the right direction. The only difference between the previous govt and this is: the previous govt was an Autocratic thief while the present govt is a democratic thief. If not both are thieves. This could happen during any palanaya, It had happened during previous marapalanaya and now it has happened under current yahapalanaya as well. We have seen how the last government had acted on several such incidents and it had got the name marapalanaya. Now the big people in yahapalanaya must act swiftly and decisively and in a transparent manner on such complaints so the people would know that such acts does not work any longer. Otherwise the present government also will go in to the history books asanother marapalanaya. Any complaint lodged in Police , If someone have threat they should go to police and so on . this is done for enjoying the media . then all important facts what bond commission found will not available for public peoples. Yes yes inside the country. You may be outside. It is so easy to do what is mentioned here, and Ravi's relatives would be fools to disclose their identity if they made those threats. Why are some people so gullible as to believe things which may not be true? And why Ravi Karunanayake has not been charged for serious crimes he committed? Regarding the death threats, the Police should have been informed and proper legal measures taken. The Bond Commission is not the Police. These could be fabricated stories. The actual statement should come from the police Media. Now rubbish is being broadcasted. People should now understand the plight of Rohingya refugees' plight when there is a threat on your life. RAVI.. DO YOU REMEMBER YOUR RELATIVE BY THE NAME SHANI NETHTHIKUMARA? Anyone can make accusations of threats. How does someone involved in a high profile case such as this flee the country? She is a witness not an accused. hope you understand now. Please forward your mobile to authorities. Certainly the real truth will come to light. Same with the victim.